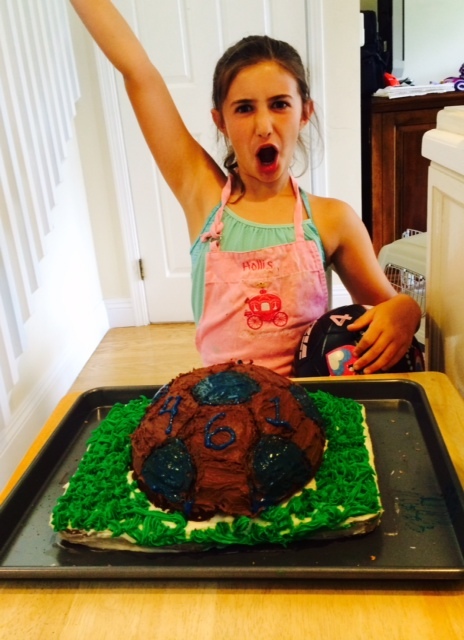 When you Get 461 Juggles AND you Raise More Than $25,000 for St. Jude Hospital, You Get a Cake. But I’ve got my Eyes on $30,000, so Please Help! Yesterday was a big day for me and Juggling for Jude! After I juggled a new record of 461, I passed my second goal of $25,000 for St. Jude Hospital, thanks to the generous people who have donated so far. But the thing is, I REALLY want to get $30,000! Maybe you or someone you know can help me get there. We aren’t that far away! 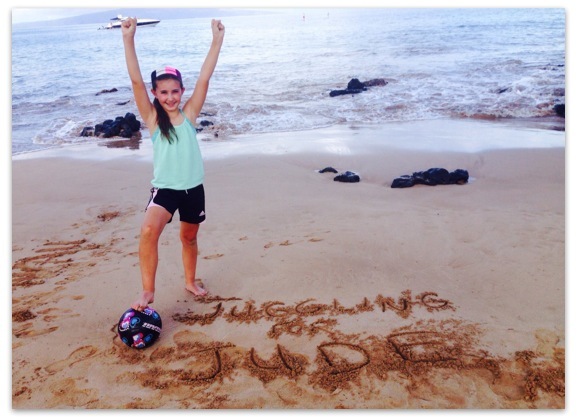 My donation page will stay open through September, so please keep talking about Juggling for Jude so people know to donate. Every dollar adds up to help the kids at St. Jude! DONATE HERE! Tomorrow I will post the tally of my records for each day that I juggled, so people who pledged to donate based on those numbers can do that. Thank you for helping me help kids with cancer and the researchers who are working hard to find cures for cancer and other bad diseases that kids can get. ARE YOU READY FOR THIS? I JUST ROCKED 461 JUGGLES!!!!!!! DAY 51 of JUGGLING FOR JUDE!!!! I AM SO HAPPY! I have now hit my summer juggling goal. Can you help me blast past my fundraising goal of $25,000? 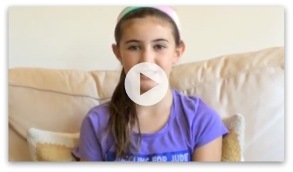 I’d really really like to reach $30,000, because the kids at St. Jude Hospital are incredible fighters. Before you head out to enjoy your holiday weekend, HEAD HERE TO DONATE! Thanks for your support! I feel so proud and excited! NEW RECORD! 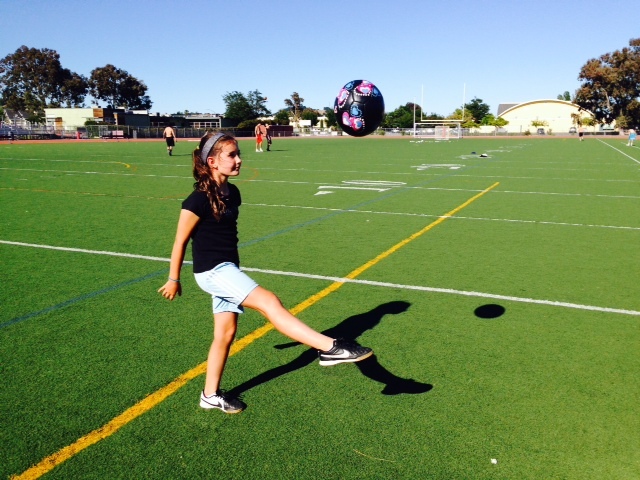 342 Consecutive Juggles Today! 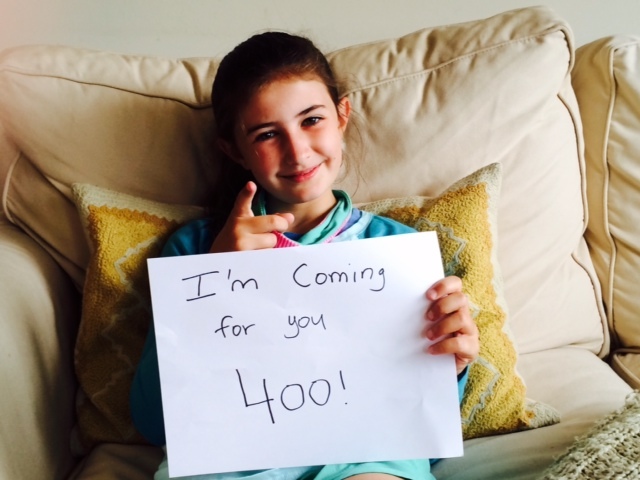 I’m Coming for you, 400! I’ve Got an Army of Kids at St. Jude Fighting with Me! I got a new record today of 342 juggles! Yesterday I got 259. With my goal being 400 by the end of my Juggling for Jude fundraiser, I have work to do this week, and today’s record makes me feel excited! Also, my goal of $25,000 for St. Jude Hospital is also in reach! So far, we have raised over $21,000!!!! There were times earlier this summer when I doubted that I could raise $25,000 or that I could get even close to 400 juggles. But now, both of these things are in my reach. It just goes to show you that you have to keep fighting and working hard to reach your goals. I’ve got an army of kids at St. Jude Hospital fighting along with me, so I think I can do it! Thank you so much to those of you who have donated already, and if you haven’t, PLEASE PLEASE PLEASE DONATE TODAY! Time is running out on Juggling for Jude. 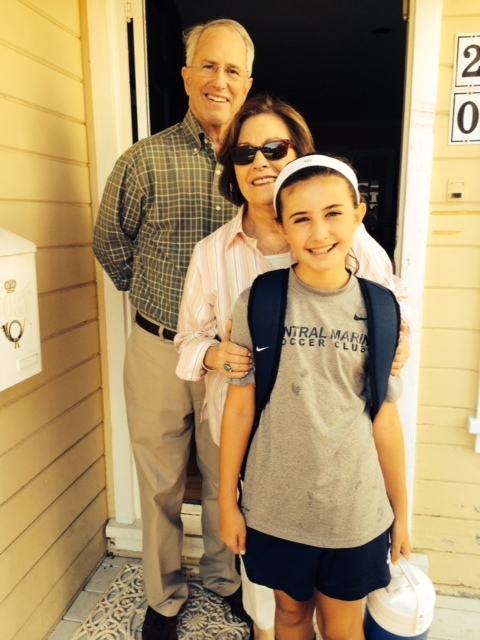 Make your day and donate to St. Jude–it’s an amazing place and it needs our support. Thank you for your help, and please tell your friends so they can DONATE too! Days 45 and 46: 132 and 133 Juggles. 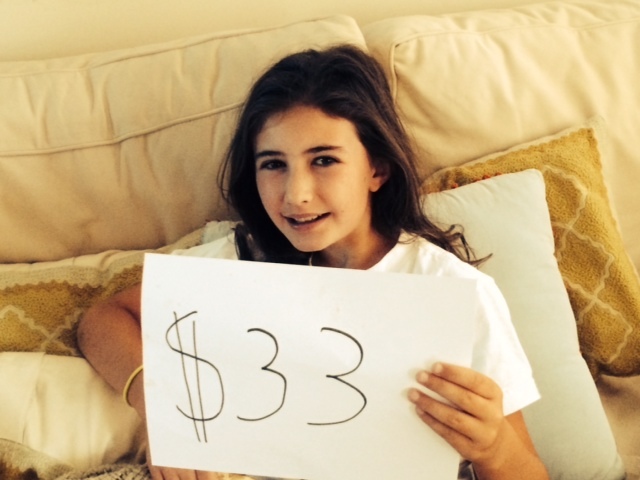 Plus Why I’m Holding a Sign that Says $33! It takes 2 million dollars a day to run St. Jude Children’s Research Hospital. That is a lot of money! It’s amazing but true that most of that money comes from people like you and me who donate to St. Jude. There are a lot of famous people who donate a whole lot of money, and then there are people who don’t have so much money to donate and they give what they can. My mom had a meeting with a really nice lady who runs the Northern California fundraising for St. Jude, and she said that the average donation for every single person who donates is $33! Just $33 per donation makes St. Jude run. Funny thing is that today I got 133 juggles, so there’s that 33 again! 🙂 I got 132 yesterday. Don’t forget, DONATE HERE NOW! Day 44: 221 Juggles. Plus a Friend at the Park and How Losing My Tooth Today Made Me Think About St. Jude Hospital. Since I have to juggle after camp this week and the high school football team practices in the afternoons, I have been juggling at a park near my house. Yesterday, my neighbor who is 2 was out there kicking her soccer ball. She liked watching me juggle, and we played a little bit. 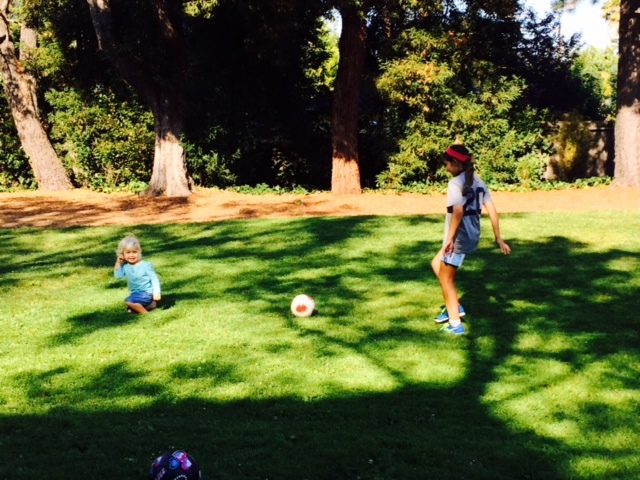 It’s fun to see how I can inspire someone younger than me to play soccer! I already posted yesterday’s video. Today, I got 221. I’m excited to get a new record any day now! 400, here I come! Today at camp I lost my tooth! I haven’t lost a tooth in a long time. It made me think about the kids at St. Jude who sometimes lose their hair because of something called chemo. Chemo is a medicine that helps make cancer go away, but it also kills other healthy parts of people’s bodies. It makes hair fall out. I think that would be really sad and hard. Also, the kids at St. Jude might lose hope sometimes, and they also lose their ability to do things they love while they are in the hospital. Losing my tooth really got me thinking, and it made me really happy that I’m Juggling for Jude! Please help me help St. Jude and all of the kids there, so maybe they won’t need to lose quite as much even if they have cancer! DONATE HERE!